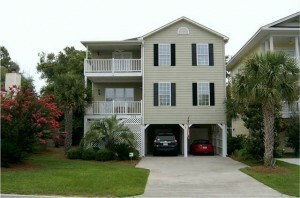 Come See & Come Discover the Surf, Sea, Sand & Gentle “Palm Breeze” of this multi- seasonal retreat! And, just steps to the Atlantic Ocean. 3 full bedrooms with 4th used as a Carolina Room or Office. This Second Home or Investment Property is professionally furnished as a tropical paradise retreat! Priced to sale. You just need to see it! Location! Location! Location! Great for a Golfers Retreat at the Beach!!!! Backyard has enough room for its own pool! Motivated Seller! Inventory for beach houses in this area limited! 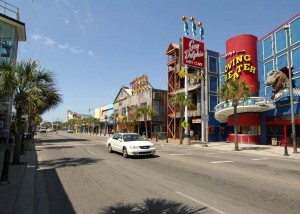 Increased tourism during summer vacation season in Myrtle Beach has prompted Mayor John Rhodes to propose closing a section of Ocean Blvd in the Myrtle Beach Boardwalk section of the beach. The mayor said Wednesday allowing room for more pedestrians on the section of Ocean Boulevard from Seventh Avenue North to Mr. Joe White from 4 p.m. to 2 a.m. would encourage those people to go into the shops instead of drive past them. Rhodes said the idea stems from what is done in the French Quarter in New Orleans, where Bourbon Street and surrounding roads are open during the day to allow deliveries to restaurants and shops, but closed at night to allow pedestrians to easily walk around. While the Oceanfront Merchants Association is open to the idea, at lest one of its members oppose it. Time Warner Cable local cable advertising ad for participating Century 21 Coastal Lifestyle real estate agents.